Periyar Tiger Reserve: Periyar Tiger Reserve is one of the 27 tiger reserves in India. It is located in the Western Ghats in Idukki District of the Kerala state in India. The terrain of the Reserve is undulating and the drainage is dendrite. North-eastern boundary of the Reserve is a ridge, which also forms boundary between Kerala and Tamil Nadu states for 90 km.It is a must to go for Jungle Track during your visit to the Periyar National Park. There is different kind of options available for the Jungle Track. 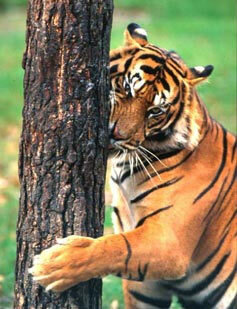 It is one of the 16 Project Tiger Reserves in India. About a century ago, a British engineer, Col. J. Pennycuick, chalked out a plan to dam the Periyar River, subsequently, a dam was constructed in 1895. This resulted in the adjoining forests being granted protection, by the Maharaja of Travancore. The 55 sq km reservoir and the surrounding forests, provide protection to the animals within. Today, Periyar is undeniably, one of the most impressive wildlife sanctuaries in the world. The terrain is basically hilly, and the only flat areas of the sanctuary are the grasslands, at the edges of the lakes. Impregnable forests and open grasslands make for a sustaining environment, for both the carnivore and herbivore population of the reserve. 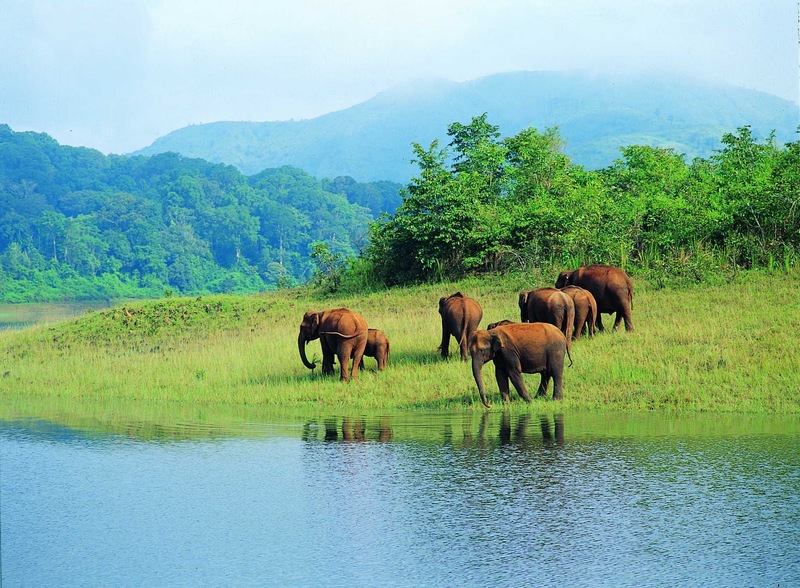 Periyar is famous for its pachyderm population, which is around 800 in number. Periyar is probably one of the few places, where one can observe the elephants in their natural surroundings, uninterrupted, and approach to within 20 metres of them, fearlessly. Unlike their African counterparts, Indian female elephants have no tusks. Very few of the all – bulls, too, have tusks, a sad comment on the intense level of poaching in the country. Apart from elephants, the other animals to be seen in the sanctuary are gaur, wild pigs, sambar, barking deer, mouse deer, dhole (Indian wild dog) and very rarely, a tiger. There are, now, an estimated 40 tigers here. Four species of primates are found at Periyar – the rare lion-tailed macaque, the Nilgiri langur, common langur and bonnet macaque. Periyar also happens to be the habitat of the elusive Nilgiri tahr, which is rarely to be seen. The birdlife comprises of darters, cormorants, kingfishers, great hornbills (the great Malabar hornbill) and racket-tailed drongoes. The reptilian population boasts of monitor lizards, which can be spotted basking in the sun, on the rocks along the lakeshore, especially in the cooler months. Pythons, king cobras, flying lizards, flying squirrels, flying snakes and to top it all, flying frogs are the other inhabitants of this amazing sanctuary. There are a few fascinating tribal villages around the Periyar, primarily the Manan and Oorali tribes. The Manans are ace fishermen, and a few of them still indulge in the traditional, if dangerous, practice of collecting the honey of large and deadly hill bees. The Ooralis build tree dwellings, though not as residences, but watch-towers to keep wild pigs, and elephants from ruining their crops. Periyar is a sanctuary only traversed by boat, which annuls the chances of traffic noise, and dust. With special permission, one can boat to the source of the Periyar Lake, the Periyar river. 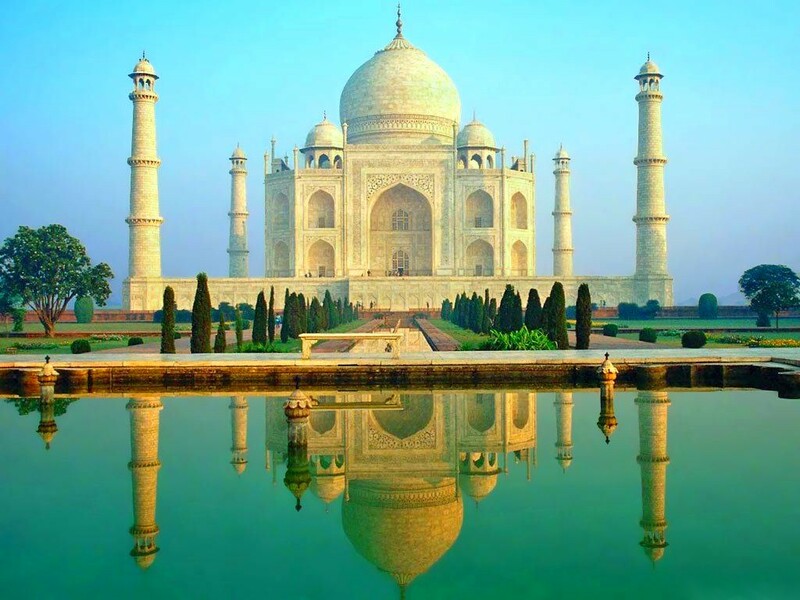 This area falls at the heart of the sanctuary, not usually open to visits, and the rest house located there, is known as Thannikudi. The sloth bear is a common sight at Thannikudi, and tigers, too, prefer this area, as it is far removed from the main park area, hence, peaceful. On the whole, visiting the Periyar Sanctuary is a delightful and enlightening experience, one that should not be missed for the world.The Periyar protected area lies in the middle of a mountainous area of the Cardamom Hills. In the north and the east it is bounded by mountain ridges of over 1700 metres altitude and toward the west it expands into a 1200 Meter high plateau. From this level the altitude drops steeply to the deepest point of the reserve, the 100 Meter valley of the Pamba River. The highest peak is the 2019 Meter high Kottamalai. The sanctuary surrounds picturesque 26 km² Periyar lake, formed by the building of Mullaperiyar Dam in 1895. 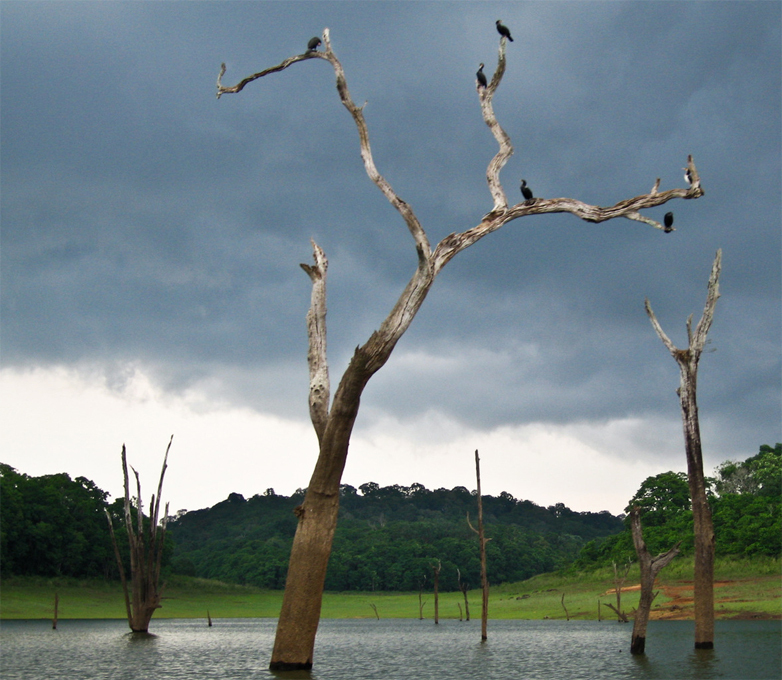 This reservoir and the Periyar River meander around the contours of the wooded hills, providing a permanent source of water for the local wildlife.The temperatures vary depending upon the altitude and it ranges between 15° Celsius in December and January and 31° Celsius in April and May. The annual amount of precipitation lies between 2000 and 3000 mm. About two thirds of the precipitation occurs during the southwest monsoon between June to September. A smaller amount of precipitation occurs during the northeast monsoon between October and December.